It's time for our Big Reveal! If you haven't done so, please go select your card on The Wildly, Witch Facebook Page. For those of you who have, let's get to it! 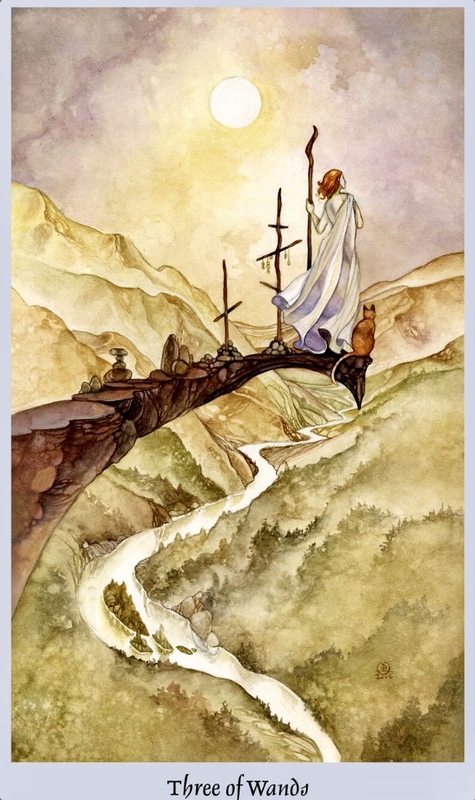 This week's Tarot deck is The Shadowscapes Tarot by Stephanie Pui-Mun Law. "Surrender to the fantastical world of your deepest dreams...where butterflies float upon shifting mists set aglow by the rising sun. A place where twisting branches arc across shimmering skies, willowy fairies dance on air, and tree spirits sing from a hallowed oak. Delve into the shadows of your dreams—and awaken to truth. A companion guidebook presents the artist's evocative interpretations of each card's significance. It also features an introduction by award-winning tarot expert Barbara Moore that includes tarot basics, instructions for giving insightful readings, and practical spreads." 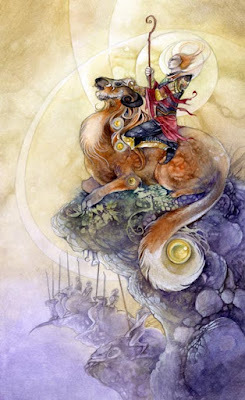 When this card is in the present position, it is an acknowledgment that you are in the middle of a great struggle. You might not realize that your efforts are out of the ordinary. Your battle may seem so obviously the right thing to do that you do not realize how great and against the odds it truly is. Whether it is raising a child with learning disabilities or working hard to finish your master's thesis, you really have to be persistent in what you do to manifest the Nine of Wands in the present position. Key words: Ongoing battle, battle weary, fatigue, drained of energy, nearly there, close to success, courage, persistence, perseverance, backbone, learning from past failure, gather your strength, fight your corner, last stand, guarded, wounded, expecting trouble, holding out, not working out as planned, setbacks, strength of will. The Three of Wands represents freedom, adventure, travel, moving abroad and foreign lands. It can indicate hard work paying off, success and being happy with your choices or the outcome of your situation. This card also signifies foresight, forward planning, moving forward, growth and expansion. It is a Minor Arcana card of self-confidence, self-belief, spreading your wings and experiencing life. It tells you that fortune favors the brave. It can also represent holiday romances and long distance relationships. The Three of Wands is a card that almost always represents the person receiving the reading. When it appears in your reading, the position will tell you when things will be most hopeful. 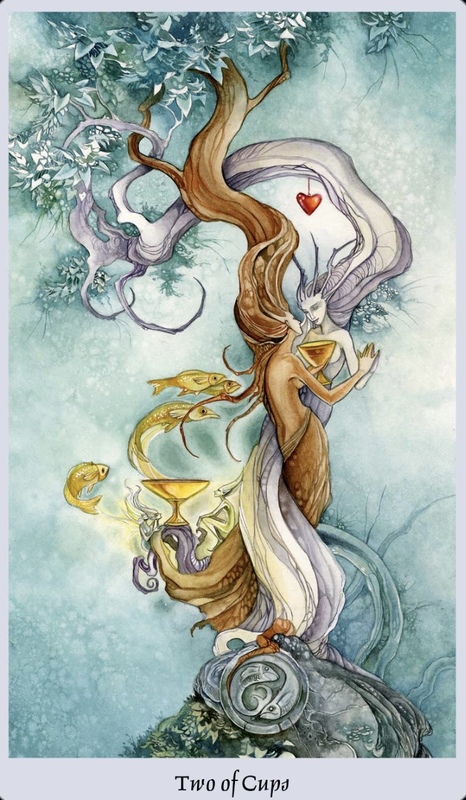 When the Three of Wands appears in a reading representing the present it reflects that you have invested a lot of optimism into some venture or relationship. Key words: Travel, moving abroad, foreign land, foresight, forward planning, moving forward, self-confidence, self-belief, freedom, success, happy with choices/outcome, hard work paying off, experiencing life, spreading your wings, adventure, long distance/ travel romance, fortune favors the brave, overseas trade/expansion, growth. When the Two of Cups Tarot card appears things should be going well for you, and life should be very harmonious. The Two of Cups is a very positive card. While it normally relates to unity and love in romantic relationships it can signify harmony and mutual respect and appreciation in friendships and partnerships. 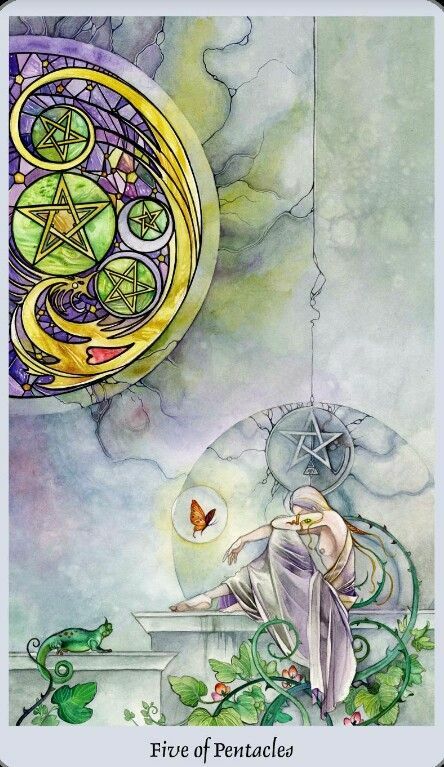 This Minor Arcana card can also signify equality and balance when it appears in your tarot spread. As this is an attraction card, you may find you are popular or sought after in many areas on your life! How did you do? Come, share your thoughts on the Wildly, Witch Facebook page, and let me know how I can support you.